Ever wanted to rush a sorority of sketch comedy? Come out and audition for LYLAS, Asheville’s first and only all-female sketch comedy troupe, on Monday, September 16, 2013 at 7:30 pm at 35below, underneath Asheville Community Theatre. LYLAS (“Love Ya Like A Sis”) will perform an all new show in January 2014. Auditionees should be prepared to write, rehearse, and laugh extensively during the fall to prepare for the show. 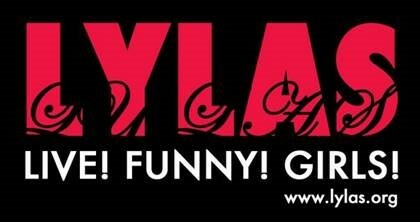 For more information about LYLAS, please visit www.lylas.org or email lylashaha@gmail.com. 35below is part of Asheville Community Theatre, located at 35 East Walnut Street in downtown Asheville.